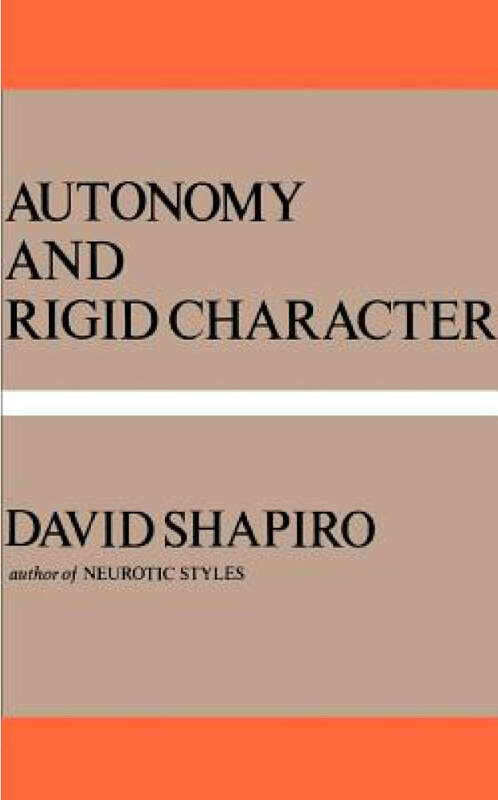 "David Shapiro is one of the most independent, original, and provocative thinkers in the psychoanalytic world, and he has developed a systematic understanding of personality and psychopathology that warrants attention from all factions." 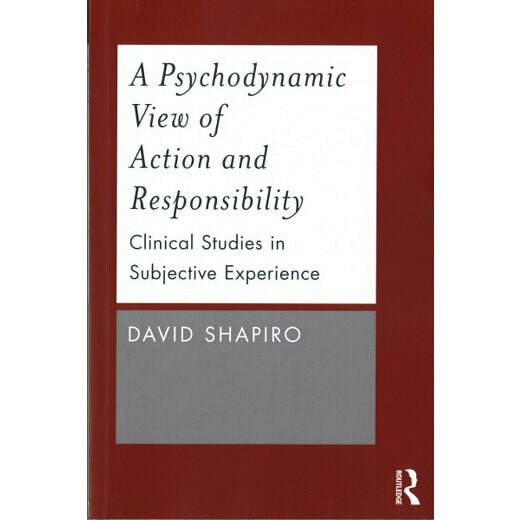 David Shapiro's books “have influenced countless psychologists from virtually every theoretical orientation, including psychoanalysists, cognitivists, existentialists and humanists,” as well as scholars in fields ranging from economics to medicine to anthropology. His classic Neurotic Styles has become one of the most widely read books on personality and psychopathology. The book outlines four major “neurotic styles” outlined as modes of functioning identifiable in an individual by their behavior: obsessive-compulsive, paranoid, hysterical and impulsive. 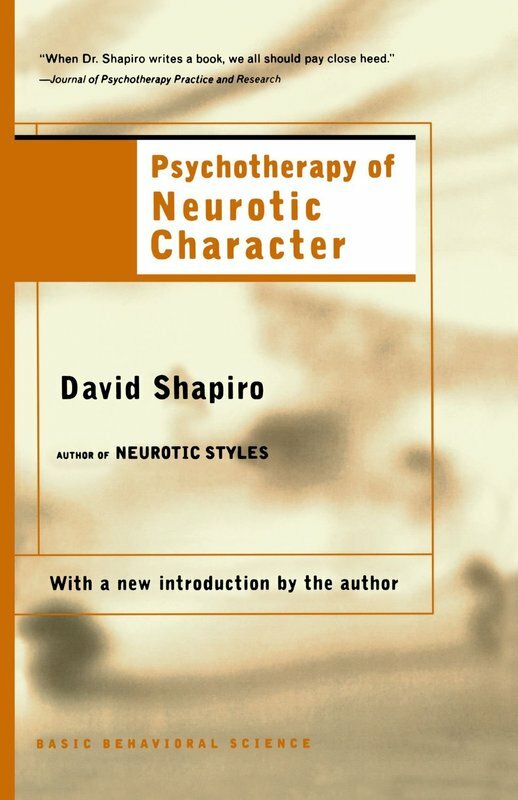 Dr. Shapiro’s views on character structure continue to influence psychoanalytic theory, therapeutic method, and research. Dr. Shapiro is a clinical psychologist with a private practice in New York, and is Professor Emeritus of Psychology at The New School University. This new book by David Shapiro throws light, from a clinical standpoint, on a subject of importance, both theoretically and for therapeutic practice, for psychoanalysts and psychotherapists, as well as for those with general interests in philosophy or psychology. A Psychodynamic View of Action and Responsibility explores the individual’s experience of ownership or responsibility for what he or she does, says, and even believes, and their avoidance of that experience. A seminal work in psychoanalytic theory, Neurotic Styles is one of the most widely read books on personality. Virtually all psychodynamically oriented taxonomists of character have drawn on Shapiro’s classic work. Psychotherapy of Neurotic Character presents an approach to psychotherapy consistent with his classic work, Neurotic Styles. The therapeutic material, argues Shapiro, consists not merely of what the patient provides but of the patient. Pay attention not only to the words, Shapiro says, but also to the speaker. Shapiro’s view of the dynamics of neurosis emphasizes subjective experience. 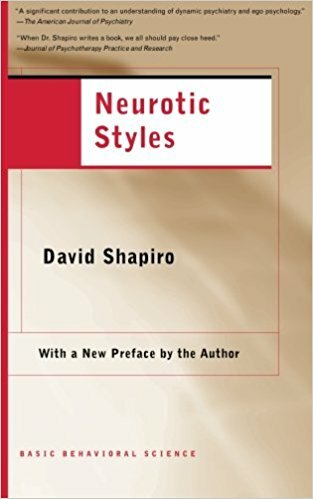 With his penetrating theory of personality and his nuanced understanding of the psychotherapeutic relationship, David Shapiro has influenced clinicians across the theoretical spectrum since the publication of Neurotic Styles. This influence is on vivid display in Personality and Psychopathology (Craig Piers, editor) as noted contemporary theorists critically evaluate his work in a fascinating dialogue with Shapiro himself. Dynamics of Character deepens his now-classic studies of psychopathology with this conceptualization of a dynamics of the whole character--a self-regulatory system that encompasses personal attitudes, modes of activity, and relationship with the external world. Extending and magnifying Shapiro's original vision of psychopathology, Dynamics of Character is a resonantly reasoned response to the reduction of complex processes of mind to products of biological defect of psychological trauma.